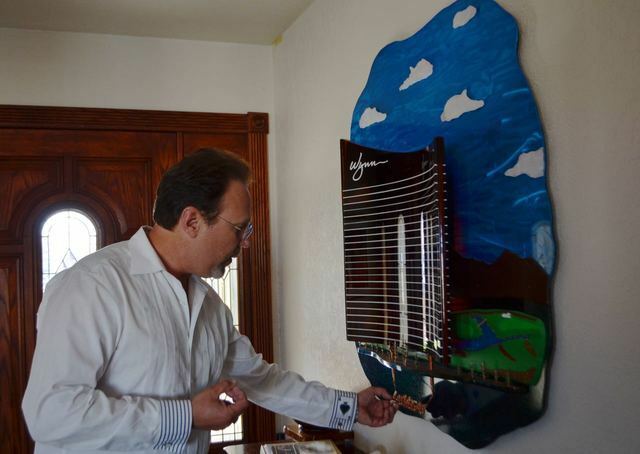 Father’s Day is full of memories for southwest Las Vegas casino dealer and artist Dennis Drzyzga. Sixteen years ago, he cuddled in his bed with his 10-year-old son, Christopher, and his 8-year-old daughter, Alexandria, as his wife, Shirley, took her last breath in the hospice bed beside them. 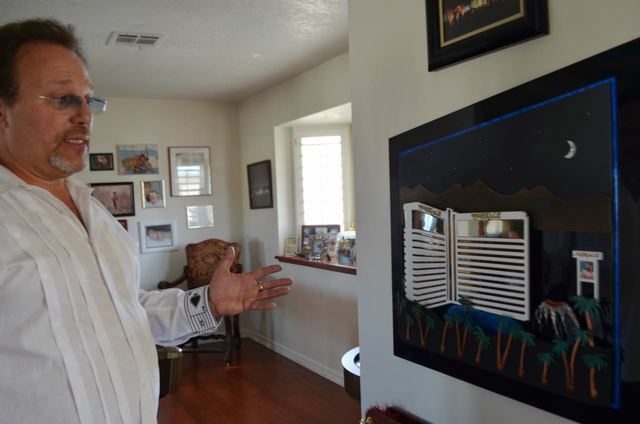 Father’s Day is full of memories for southwest Las Vegas casino dealer and artist Dennis Drzyzga. Sixteen years ago, it was the day he embarked on a new level of parenting. As he cuddled in his bed with his 10-year-old son, Christopher, and his 8-year-old daughter, Alexandria, Dennis’ wife, Shirley, took her last breath in the hospice bed beside them. Alexandria said though her dad had done a good job of explaining everything, the reality of it didn’t hit her right away. “I’m more of a person that goes into shock for a minute, so it didn’t hit me for a while,” she said. Dennis said Shirley was a “little Italian girl from Stamford, Connecticut.” He was a boy from Buffalo, N.Y., who left his work in nuclear power plants as a mechanical engineer for General Electric and headed to Las Vegas to pursue a dream. His plan was to deal cards for a few years and use his wages to amass a collection of Las Vegas memorabilia. Then he’d take it all back to Buffalo and open his own bar. What he didn’t count on was falling in love with Las Vegas and with Shirley, who was working as a cocktail waitress when he started at Caesars Palace. They met in 1985, married and moved into the house Shirley had built in 1979. “It was just a little box in the middle of nowhere then,” Dennis said. Now the southwest community has grown up around it. A decade after they met, Shirley was diagnosed with breast cancer. Their kids were 2 and 4. At least three times over the next five years, Shirley rallied back from the brink of death and returned to health. “They said she would only last a couple of hours or a day or two at the most, and she made a complete turnaround,” Dennis said. When Shirley’s health wasn’t good, Dennis had to hold the family together. Christopher said his father instilled in him and his sister a sense of commitment and sacrifice as he did anything he could to sustain his family. “I don’t even know if he knows it, but my sister and myself have grown up watching him,” Christopher said, adding that seeing his father’s strength and determination has impacted the way he goes about his day-to-day life even now. “He showed the passion, the love you have for your family, the commitment and the sacrifices you make in the name of family and love,” Christopher said. After five years fighting, Shirley was losing. He and Shirley traveled to the National Institutes of Health facility in Maryland in 2000. All five of her sisters were tested, and one came out a perfect match for a transplant. But what was set to be a three-month stay turned into 17. The couple were in Maryland during 9-11. As Shirley fought for her life, Dennis sat by her side and kept busy with an idea for an art project based on the Mirage. He’d sketch and plan, and doctors would check on his wife and ask him how his sketches were coming. The sketches came out fine, but the transplant didn’t. Eventually, Dennis brought his wife home so she could spend the time she had left with her family at her side. The last week or two, they stuck to her like glue. They hosted Alexandria’s birthday early, to make sure her mother would get to see it. The next day, Father’s Day, was Shirley’s last. Dennis found solace in his kids and in art. He started out making a project to thank Barry and Jane Moore, who had taken his kids in while he was away with his wife in the hospital. The piece depicted the couple’s cab company surrounded by the classic casinos they had served. He also turned his attentions to the Mirage. Dennis was always intrigued by Steve Wynn and his journey. He photographed the construction site constantly and was there when the Mirage ribbon was cut on opening day. The sketches he worked on at his wife’s side were transformed into a 3-D metal, wall-mounted sculpture, a piece Dennis wanted to get right. He was so determined he made up a story about his son having a school project to get blueprints and schematics from the team that constructed the building. At times, Dennis would get lost in his work. Christopher said when life got dark, art soothed his father. Often, their father would start work still in his tux from Caesars Palace and labor into the night. Christopher said he feels like the work gave his dad purpose. “It gave him a sense of accomplishment: ‘I started this for Shirley; I need to finish it for Shirley,’ ” Christopher said. The Mirage project took three years and three weeks to complete. After the Mirage project was complete, he turned his attention to other big projects. 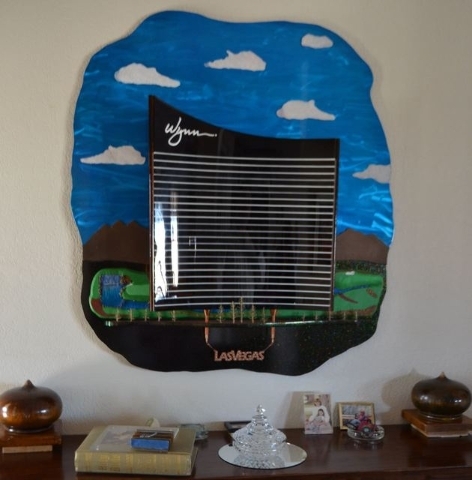 The Wynn, made from 155 pieces of fused layered glass, is a massive piece that he had to enlist the help of a glass artist with a big oven to complete. The polishing job alone took weeks. 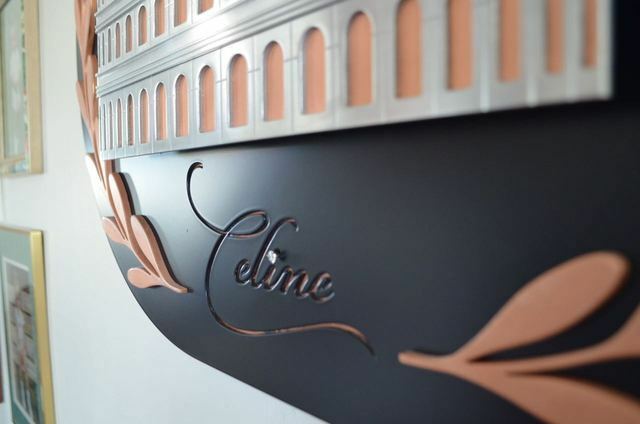 His favorite is an aluminum and copper replica of the The Colosseum at Caesars Palace dedicated to Celine Dion. The piece, accented with the diamond his wife once wore, can be opened to show a tiny Dion holding a microphone and performing for an airbrushed audience. Dennis said the piece, which took two years to complete, is meaningful to him because Dion and her music help him remember his wife and the romance they shared. Christopher is astounded when he looks at his dad’s work and hears him talk about it. Dennis has yet to sell any of his artwork. For one thing, it would be hard to charge enough to justify the work that went into each piece. 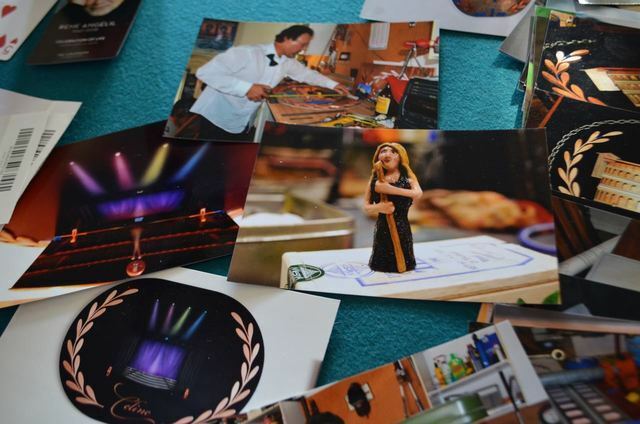 Still Dennis and his children hold out hope that a celebrity or casino might see his work or hear about it and want him to make limited-edition pieces. “It got him through some of the toughest times in his life, so if he doesn’t sell them, I’m still so happy for him,” Alexandria said. The other reason he hasn’t sold them is he would miss each piece’s presence in his home. Dennis said that, depending on the time of day, they look different. Whether it’s sunlight, tungsten light or fluorescent light that shines, each is constantly changing. He loves the way they look as the sun bounces off Mandalay Bay. And then there’s the light from the fireplace at night. 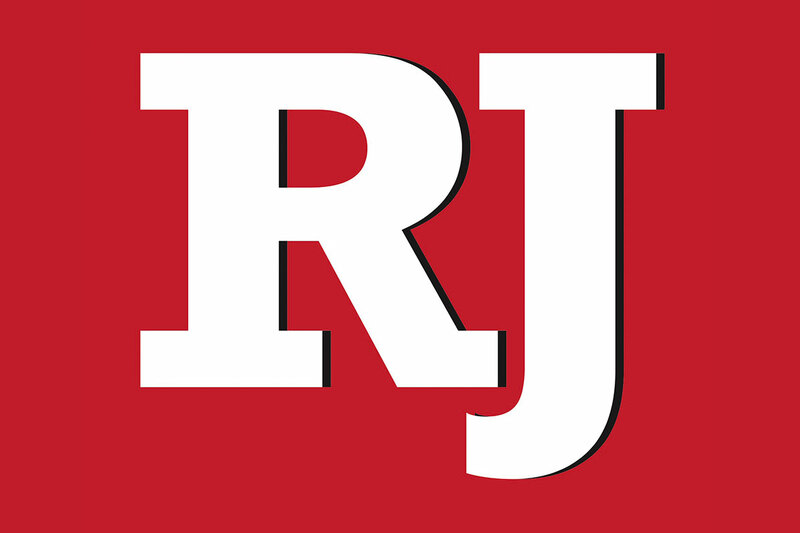 Contact View contributing reporter Ginger Meurer at gmeurer@viewnews.com. Find her on Twitter: @gingermmm.